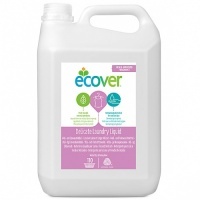 Organic, natural fibers next to your baby’s bottom: it’s elemental! The newly improved, one-size, one-piece nappy is an ideal, natural solution that doesn’t compromise performance. 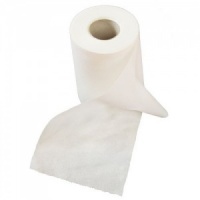 Multiple layers of luxriously soft, 100% organic cotton provide optimal absorbency, while gentle elastic and waterproof outer cover prevents leaks. Cloth nappying has never been so easy! bumGenius Elemental All-In-One One-Size Cloth Diapers feature the patented butterfly closure system to provide a comfortable, ultra-trim fit. This simple design makes using cloth nappies as easy as using disposables. The "no-stuff" system with attached, organic inserts offers greater customization and faster drying time. 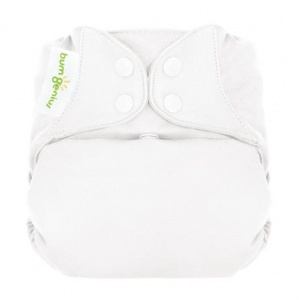 bumGenius One-Size Cloth Nappies fit most babies from 8 to 35+ pounds. Using the snaps on the front of the nappy, adjust the size if needed, put the nappy on your baby, wash, dry and re-use. No extra steps. No stuffing. No cover required. 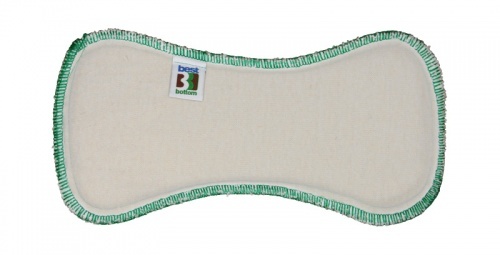 Looking for certified organic, natural fibers next to your baby’s bottom? The award winning, one-size bumGenius design you love is now available with luxuriously soft, 100% organic cotton inside. The bumGenius Elemental is a one-size, one piece cloth diaper; providing parents with a more natural option without compromising performance. The new Elemental design features an ultra trim fit for more babies, greater customization, and faster drying time. The soft, waterproof outer fabric keeps the diaper trim on your newborn and toddler. Super-stretchy, gentle leg and back elastic keeps in the mess and help to reduce red marks on baby’s skin. bumGenius cloth diapers are as easy to use as disposables. 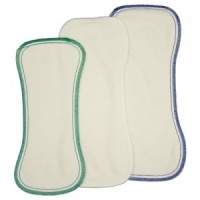 Before First Use: Wash hot (140F/60C) 3-5 times for maximum absorbency. Use: Do not use rash creams. Use a liner if you do want to use rash creams. Wash: Wash darks separately. Pre-wash cold. Wash hot (140F/60C) with bumGenius detergent. Extra rinse. No laundry additives. Tumble dry - low. No fabric softeners. Use 1/4 cup or 60 mL bleach in the hot wash once per month.